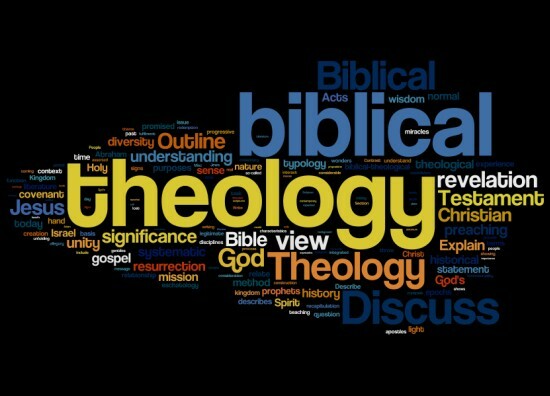 D. A. Carson, “Systematic and Biblical Theology”, 刊载于New Dictionary of Biblical Theology （T. Desmond Alexander, Brian S. Rosner编辑, Downers Grove: Intervarsity于2000年出版)，94页。另一个定义由Charles H. H. Scobie, “Biblical Theology may be defined as the ordered study of the understanding of the revelation of God contained in the canonical scriptures of the Old and New Testament” （”The Challenge of Biblical Theology,” Tyndale Bulletin 42 :36）. Carson, “Systematic and Biblical Theology,” 第100页. 要了解讲道中的基督为中心，请参考Graeme Goldsworthy著Preaching the Whole Bible as Christian Scripture: The Application of Biblical Theology in Expository Preaching (Grand Rapids: Eerdmans, 2000)，以及 Sidney Greidanus所著Preaching Christ from the Old Testament: A Contemporary Hermeneutical Method (Grand Rapids: Eerdmans, 1999)， 还有Edmund P. Clowney所著Preaching Christ in All of Scripture (Wheaton: Crossway, 2003).